Nollywood actress Funke Akindele has moved into a plush new home in Lagos. Funke Akindele shared photos on Snapchat yesterday, December 21, 2016, saying she is moving into her new home at Amen Estate, Eleko, Lagos. We guess she’s moving in with husband JJC Skillz. Congrats to her and JJC Skillz! 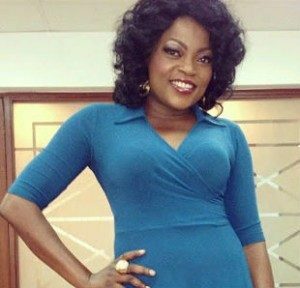 Meanwhile, Funke Akindele has decked her halls already and is ready for Christmas! The “Jenifa” star was spotted in her Santa outfit at a school in Lagos. “#jenifathesantamama stopped by to see the children,” she captioned the photo shared to her 2.5million followers. Meanwhile, A new sitcom from Akindele aka Jenifa, “Jenifa in London” continues the exploits of Jenifa and Adaku, as the two travel to London in search of greener pastures. It follows the trouble that comes with being an illegal immigrant. The Sitcom also stars Bikiyah Graham Douglas, Onyibo Princess, Bunmi Mojekwu, Jack Loy, Lolo 1 among others.